For chronic debilitating and terminal illnesses with no effective treatments, the standard statistical threshold for determining therapeutic effectiveness in clinical trials may be too conservative and may not reflect patients’ perspectives on the trade-off between the risk of endorsing an ineffective therapy (type I statistical errors) and the risk of rejecting an effective therapy (type II statistical errors). Clinical trials designed and sized with consideration of patient preference information may expedite trials and elevate the voices of smaller patient populations and patients with rare diseases. By designing clinical trials that reflect patients’ urgency and risk tolerance, scarce resources can be allocated more efficiently, bringing more innovative therapies to more patients, faster. Objectives: This project will develop and test a method for incorporating patient preference information as an explicit means to set significance levels in clinical trial design. While the pilot focuses on a specific disease state, Parkinson’s disease, the method may be generalizable to other diseases and has the potential to remove barriers to therapy access by giving patients a pathway to breakthrough, lifesaving technologies based, in part, on their risk tolerance. Outcomes: This method is the first to incorporate patient preference information as an explicit means to set significance levels in clinical trial design. While this project focuses on a specific disease state, the method may be generalizable to other diseases. The primary outcome of this project is a method to determine an appropriate p-value threshold and trial size using patient input. This project will also lead to the development of an open-source software tool to incorporate this type of patient perspective into clinical trial design. 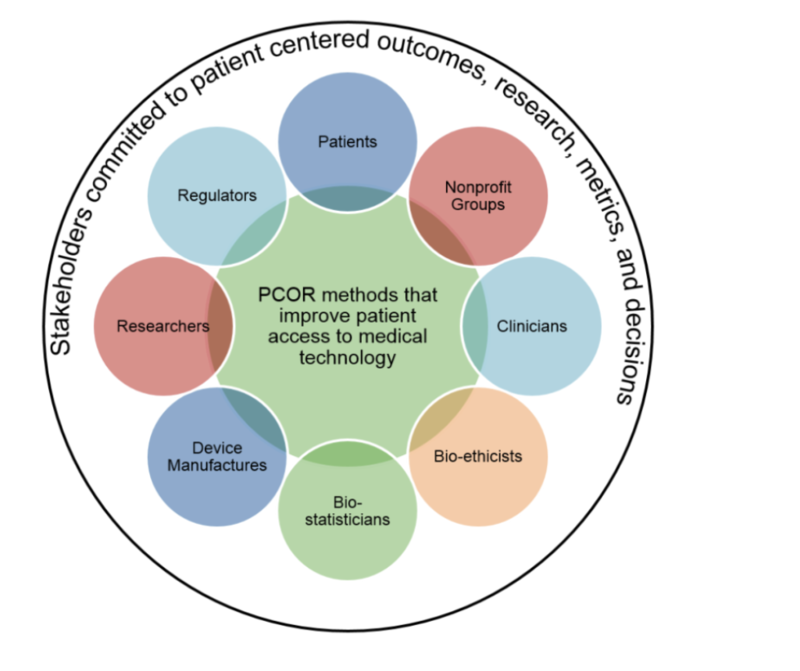 Impact: The direct incorporation of patient preferences into clinical trial design will address the longstanding conundrum that, in an enterprise devoted to easing the burden of disease, the afflicted currently have no input into the process. This method will remove barriers to access by giving patients a pathway to breakthrough, lifesaving technologies based on their risk tolerance and the resulting potential for reduced clinical trial size.